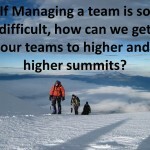 Home / Goal setting, High Performance Teams / Does Your Team Know Where it is Going? 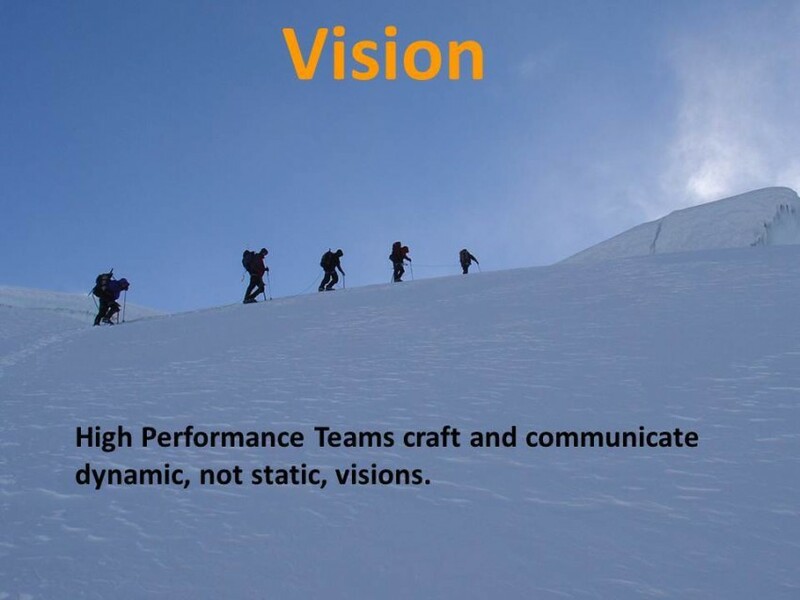 Too many leaders struggle to craft and communicate a vision for their team. This is a very expensive problem. If your team doesn’t know where it’s headed, don’t act surprised when they end up at the wrong place. Even if you get to your destination, it is likely that it took too long. In this economy, leaders have to become experts at the “vision thing”. Visioning starts with a team’s Mission Statement and leads to goal setting. A good Mission Statement tells the world why your company exists. A vision describes the journey we are embarking on to get from where we are today to the realization of our mission. Goals are the challenges we will face along the way. After the vision is created, comes the communicating. Teams need to hear where they are going (Vision) and what challenges (Goals) they will face along the way. How many of your teams have a short, motivating Mission Statement, a clear vision and written goals? Why must these be written and communicated? If you write down your goals, create an action plan and report your progress, you are 50% more likely to achieve those goals than if you don’t write them down (based on research done at Dominican University). Want more proof: in a survey of 400,000 sales people it was found that 100% of the top performers have written goals. Sport’s psychologists say that you have to have two types of goals: performance (qualitative) goals and outcome (quantitative) goals. When we climbed K2, the world’s most deadly mountain, we had two outcome goals: get to the summit and get home. And we had our performance goal: climb the mountain in a style that we would be proud of. We talked all the time about these goals especially the style goal. Style is subjective, so we worked hard to define it for ourselves. We achieved all three. In the work that we do with teams we demand that the team chooses an improbable goal: one in which failure is more likely than success. If the goal is too easy, we find that people don’t give 100% and failure is actually more likely. 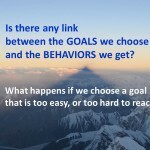 We want a goal that the team can reach only if everyone modifies their behaviors. Once the goal is known, everyone can work towards reaching it. And another thing: Does everyone have to agree upon the goal for the team to perform at its potential? NO!! As long as people agree with the mission and understand the vision they will support goals they don’t like. Remember another key characteristic of High Performance Teams – Passion: people putting the group’s mission in front of their personal desires.